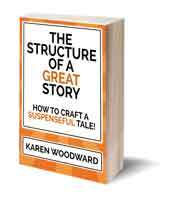 Karen Woodward: Story structure: What is it and why should I care? Story structure: What is it and why should I care? I started this post intending to write about Kristen Lamb's article Structure Part 7–Genre Matters. Kristen's posts are always marvelous, but it got me thinking about the importance of story structure and I decided to talk about that instead. In my opinion, one of the best books on story structure is The Writer's Journey by Christopher Vogler. Vogler tells a story about about how, when he worked for Disney, he wrote a memo that became wildly popular. He had no idea his memo had been attracting a lot of attention until people from other studios called him up to request a copy! This memo eventually became The Writer's Journey. 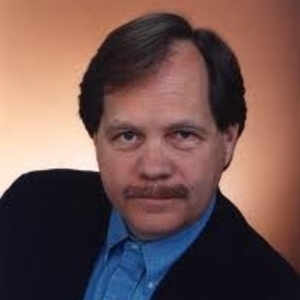 Why was Vogler's memo so popular? He says he was able to identify "a set of principles that govern the conduct of life and the world of storytelling like physics and chemistry govern the physical world. (The Writer's Journey, ix)" Be that as it may, it clearly worked for many people, and it's something that I try to use in my own writing. 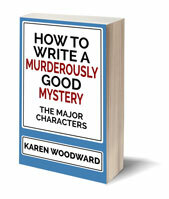 I find it especially helpful when I'm stuck, or I feel that my story has gone off the rails. Vogler divides all stories into three acts: Act 1, Act 2 part one, Act 2 part two, Act three. Act one involves the hero's (when I say "hero" I mean someone either male or female; the hero is basically the protagonist of the story) ordinary world, their call to adventure, and their accepting that call. Act two shows the hero in a new world, one where he is tested, where he meets both allies and enemies. The hero goes through an ordeal and seizes a reward; in fairytales this is often depicted as an elixir. In act three the hero is shown back in the ordinary world, having returned with his reward/the elixir. Commonly, the hero's victory isn't just a personal victory, it is a victory for the tribe as well. That's the outline. Perhaps I've played fast and loose with Vogler's account and the outline certainly doesn't do justice to the complexity of Vogler's book, but hopefully I've captured the gist. For my next post in this series, I plan to go into more detail about Vogler's system, and perhaps talk more about other kinds of story structures and how they compare to one another. - Story Structure, because even a three ring circus is organized. I think the pdf is from storyfix.com.